We cleaned out my mom’s house over two years ago. It was months before she had passed away but it felt just as much about closing a chapter as her actual passing. There were very few things we kept for various reasons but, of all the memorabilia I could have wanted to keep, her yellow long johns with daisies on them was the item I wanted the most. Sure, I still have her wedding ring and some other jewelry as well as a few small wood carvings of the birds we loved but this relic, this throwback to the 1970’s, was the thing that I held most dear out of all the items I could have kept. Had you asked me at the time why it was that particular item that held my attention I don’t think I would have been able to articulate my reasoning. But now, as I sit on my couch wearing her long johns as I type this post, I get it. This simple item of clothing has the ability to teleport me back to a time when life seemed perfect, when our family was happy and healthy and we just enjoyed spending time together. These long johns held tight to my mother’s skin as we skied up to Swan Lake and they cushioned me in my mom’s lap while I snuck a few sips of wine out of the wine-skin she carried around her neck. This yellow cotton is the fabric that helped to weave the reflections of my childhood into the memories of my adulthood. It once clung to my mother as it now clings to me and there is great solace in its embrace. When someone who can comfort you so much is taken from you, you cling to the things that have the ability to remind you of that person. You want to find every way possible to emphasize the joy you found in your shared moments. 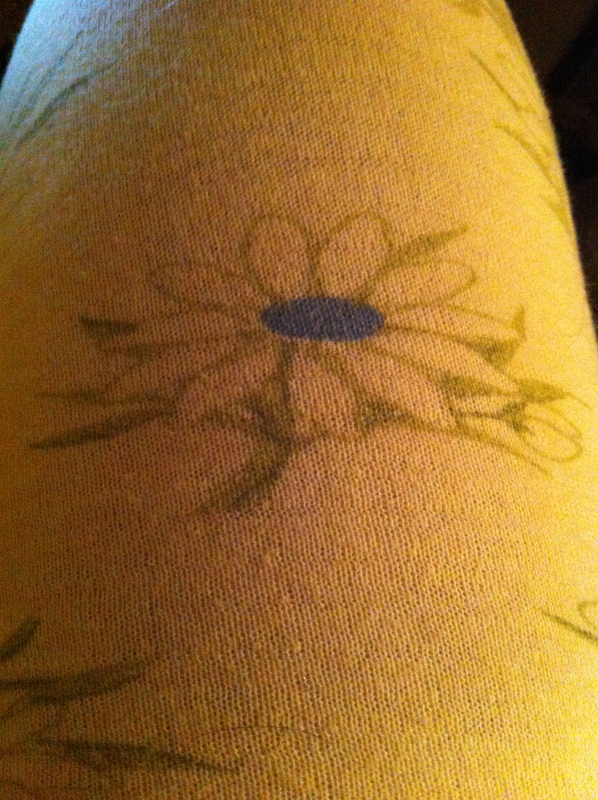 And even though I find that joy in an old pair of yellow long johns with daisies on it, that cloth helps me to overlook the things in my life that have no value and to focus on the things and the people who truly matter. My mom had very little when she passed away, but I took a pink shirt she wore frequently for reasons I feel in your own words. I also brought home a heart-shaped pillow I used to nurse Li’l D. My mom loved to sit with us in those moments, and the pillow–just a ragged, linty thing that means so much more than it shows–reminds me of the sweetness of that. That is very sweet. Thank you for sharing that. I certainly do, Jill. Thank you so much. I’ll bet they provide a nice surrogate hug.